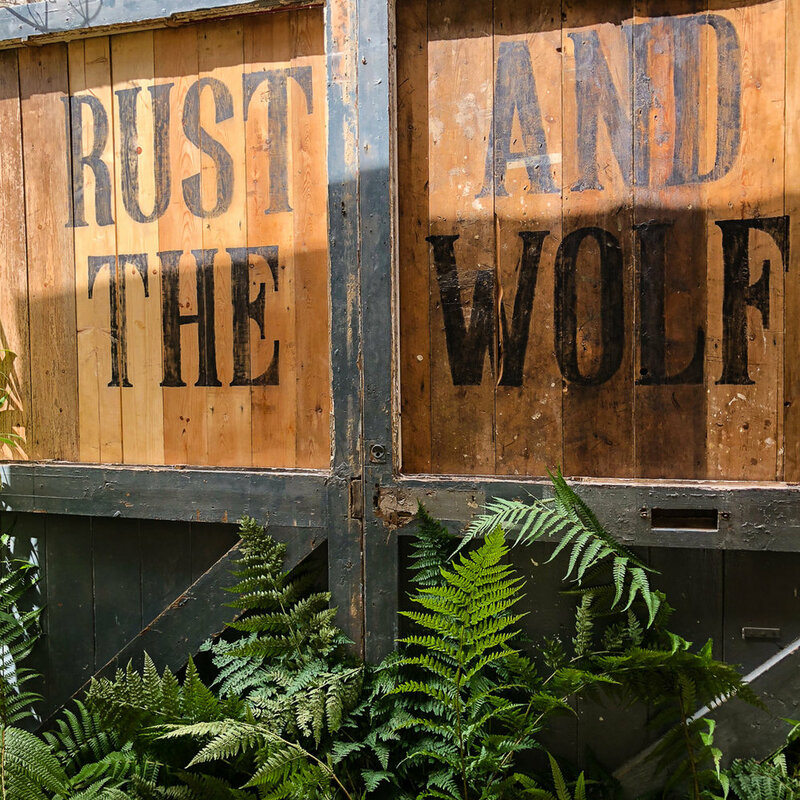 Welcome to Rust And The Wolf - our new café and lifestyle store in the vibrant town of Ashburton, in South Devon. We opened our doors in November 2018, in what was once a neglected old car garage. We’ve dubbed the café area of the business the ‘Spray Shop Café’, as this is where the cars were re-sprayed after repairs were done. The warehouse-style environment was a perfect fit for the chic, industrial vibe we wanted to create. We hope you like it too! 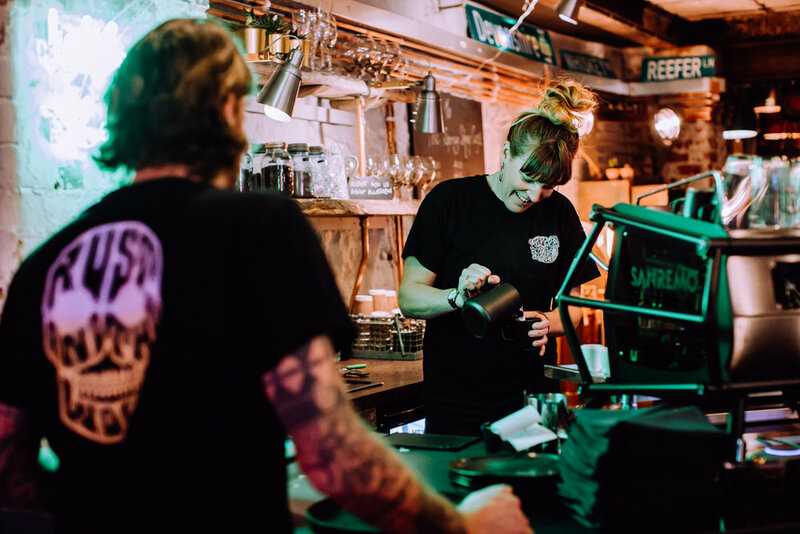 Rust and The Wolf was the brainchild of owner Mat, who ran our online store for several years prior to setting up our café and lifestyle store. His interior designer wife, Siobhan, then came on board. 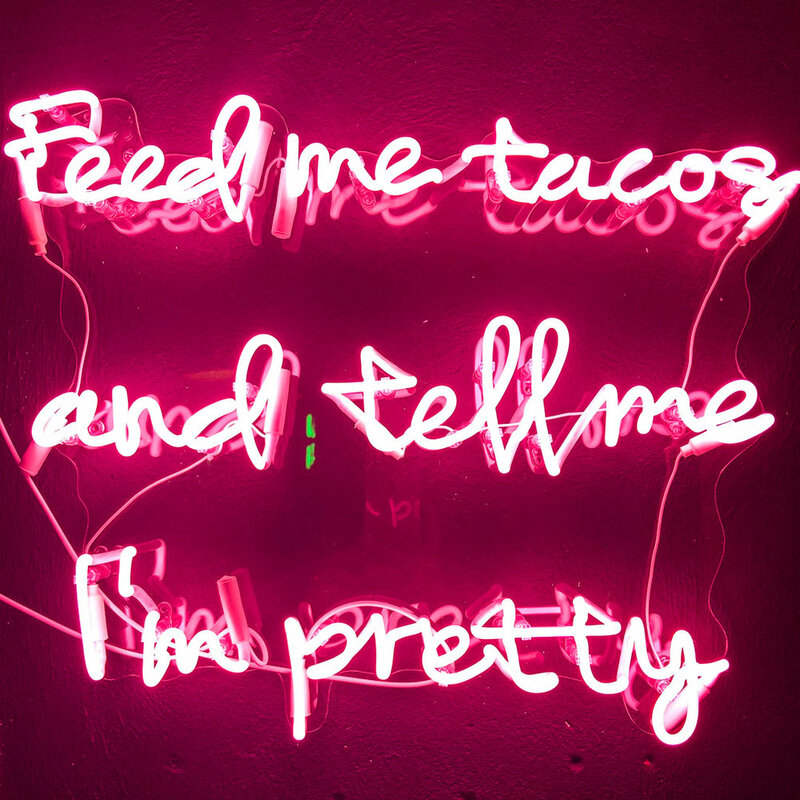 Together, they and the wonderful team of front-of-house staff and chefs hope to bring you not only a feast for the palate but also a feast for the eyes, with our combination of imaginative dishes and fun, funky surroundings. We are often asked where the name Rust And The Wolf comes from. The shortest answer is that the Rust in the name reflects Mat’s never-ending hunt for old vintage items such as rusty old signs and old iconic industrial pieces that have a history and a story to tell. The Wolf element embodies a wild, free-roaming way of life - harking back to a primeval time of the wild predator in the forest. The two combine to show the strange juxtaposition that we face within the world today where the metropolitan and natural worlds collide. We’re wheelchair-accessible and buggy-friendly and welcome little people (highchairs available) and your four-legged friends. With a sunny and enclosed South-facing garden, we have enough seating for all and a plethora of garden plants and ornaments for sale. Look out for our monthly BBQs and other events starting in April. Please join our mailing list below to hear more. To make a booking, please call us on 01364 652402. Our brunch menu and lunch specials are served between 9am and 3pm. After 3pm, we will continue to serve our excellent coffee and a selection of cakes. On Friday and Saturday evenings our ever-evolving dinner menu is served between 6pm and 9pm. Two Eggs Any Style with choice of White or Multigrain Toast. Add Smoked Bacon or Sausage. Smashed Avocado & Poached Egg on Multigrain Toast with Parsley, Lemon & Chilli. Add Smoked Bacon or Smoked Salmon. Chilaquiles Eggs, Tortillas & Salsa Roja Sauce. An ever-changing selection of awesome sweet stuff. Recent menus have included our Affogato with Kalkar Cornish Rum, Sour Cherry Tiramisu, Clementine & Almond Cake and a Warm Salted Caramel Chocolate Brownie with Clotted Cream Ice Cream. The beginnings of our new cocktail menu are coming together. We look forward to welcoming you for a tipple soon. Sign up to receive news and updates..
“We've visited this place a few times now and are never disappointed. Whether it's just for lunch or coffee, staff are always warm, welcoming and efficient. On the day we had lunch, we loved it. All faultless.